“Each year, an average of 1.4 million fires burn in the United States, resulting in thousands of deaths and injuries along with billions of dollars in direct property damage. This year, in the Western and Midwestern parts of the country, wildfires of unprecedented scale and scope have threatened local wildlife and the environment and have severely impacted local and regional economies through their devastating effect on agriculture and tourism industries. In many areas, I have declared the wildfires a major disaster and ordered Federal assistance to supplement state and local recovery efforts. My administration remains committed to providing help to those affected. 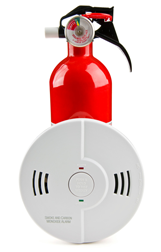 For more information on fire safety, check out the resources on our web site.